When complete, it will cater for the aspiring needs of residents from Formby and the surrounding areas providing the highest standards of person-centered care and an exceptional clinical offering, including residential, nursing and specialist dementia care services, in a safe and comfortable environment. A number of advanced care services will be provided including additional acoustic monitoring and silent call bells. Each of the well-appointed and restful bedrooms will feature a private en-suite wet room, while the home itself will offer several stylish communal lounges, elegant dining rooms, spa assisted bathrooms and beautifully landscaped gardens. The impressive care facility will also boast a hair salon and nail bar, and with its own dedicated hospitality team, the facility will provide high-end hotel-style services that ensure continued quality of life and enjoyment for residents, including fine dining, concierge services and a busy and varied programme of activities and events. Formby Manor will create approximately 90 jobs in Formby. 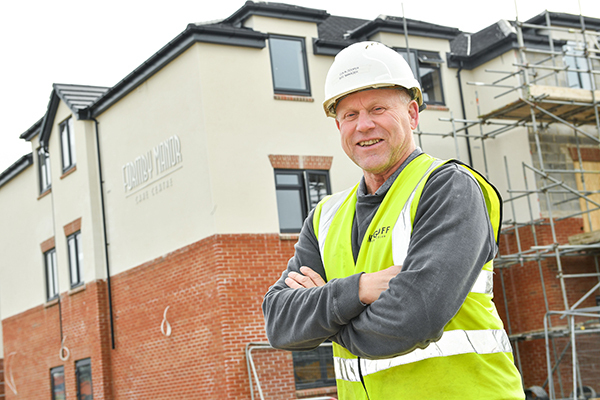 For further information on care services or career opportunities at the new home, please contact Dawn Collett on 0161 927 2960 or email enquiries@newcarehomes.com. Alternatively, visit www.newcarehomes.com.